Ryou is the best duelist in Duel Academy. Unlike his little brother (Shou Marufuji) he excels in all dueling forms. 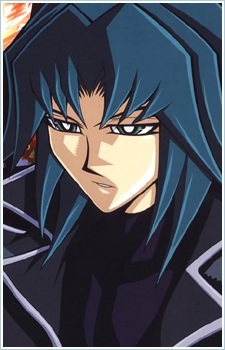 He often studies the dueling format with all duelists, and never underestimating his opponent. He uses some of the most powerful Machine Type monsters in the game. he was also undefeated in Duel Academy, hence the nickname "Kaiser." In the manga, Ryou is an exchange student to the U.S. who returns to Duel Academy with two attendants. Pain and pleasure go hand in hand for some. A few of these people love dishing out pain, but they all love to receive it. Come take a look at anime's top 50 Shades of Grey fans here!